When you think about what is important in deciding where to purchase your next new or pre-owned vehicle, there are two primary factors, price and service. Sensible and Affordable franchisees are able to offer the best of both worlds. Our dealers understand the importance of standing behind what they sell, while offering the highest level of service, and that is why they have added car and truck rental to their primary business. All Sensible and Affordable dealers realize that in today’s competitive market you need to have the edge over your competition. Making the decision where to go is tough enough. Make it easy and find your nearest Sensible or Affordable car rental location and speak to one of their helpful sales and service representatives about your retail vehicle needs. 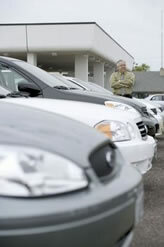 They are part of a growing nationwide franchise network.